With the boarding gate for the flight conveniently located beside the Sky Club in Concourse E, which is also the international terminal for Atlanta, I took my own time to head to the gates. I had arrived at what seems to be a relatively empty gate, and there was not much crowds for a wide body international flight! It seems the loads would be pretty low for this flight today. It was already late and when I boarded, most of the Business class passengers have already boarded save for a couple of people. 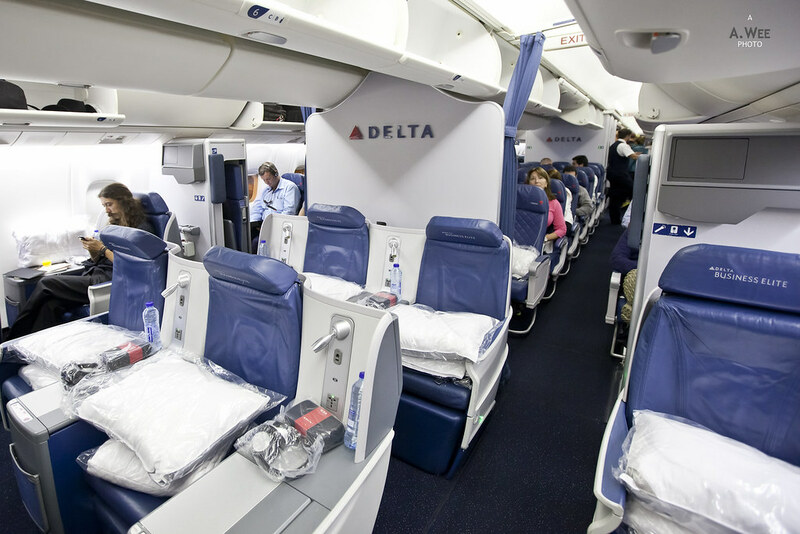 Delta’s business class seats on the 767-300ER have a staggered layout in a 1-2-1 configuration, ensuring aisle access for every seat with a full flat-bed. 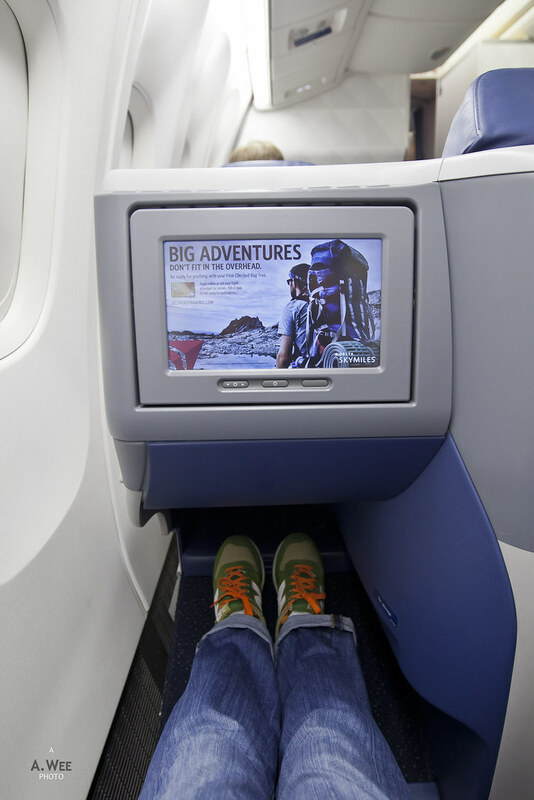 This is a generally a good product though it can get cramped at the foot cubby holes and I generally find the best seats to be those located by the windows meaning seats 1,3 and 5 on the A and D side. The even numbered seats are situated closer to the aisle and lacks privacy for individual travellers. On the other hand, couples would probably want to choose the centre column to be seated side by side. On every seat there was a set of Westin-branded ‘Heavenly bed’ mattress pad and pillow. 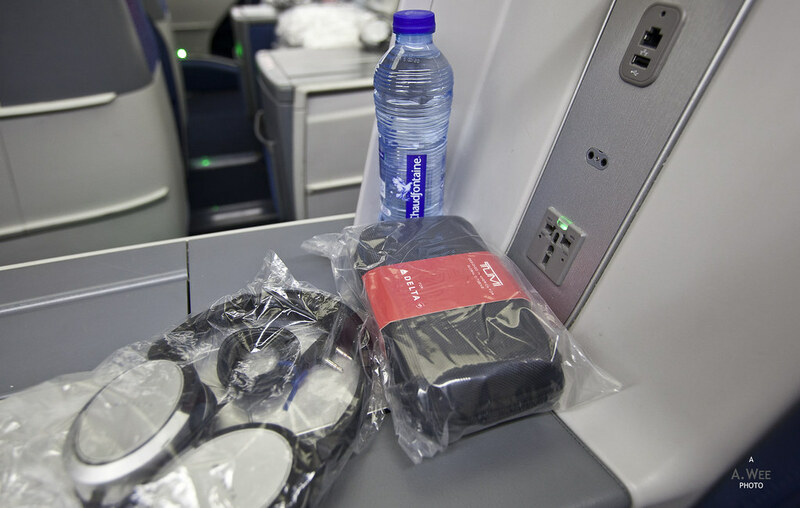 In addition, there was also headphones, a TUMI-branded amenity kit that was in a hard case format and a bottle of water located on the armrest console. Somehow the international flights have some premium mineral water that isn’t Dasani. There was still about half of the cabin empty during this time after I settled down in my seat, thus I went to walk around the cabin to take some photos. 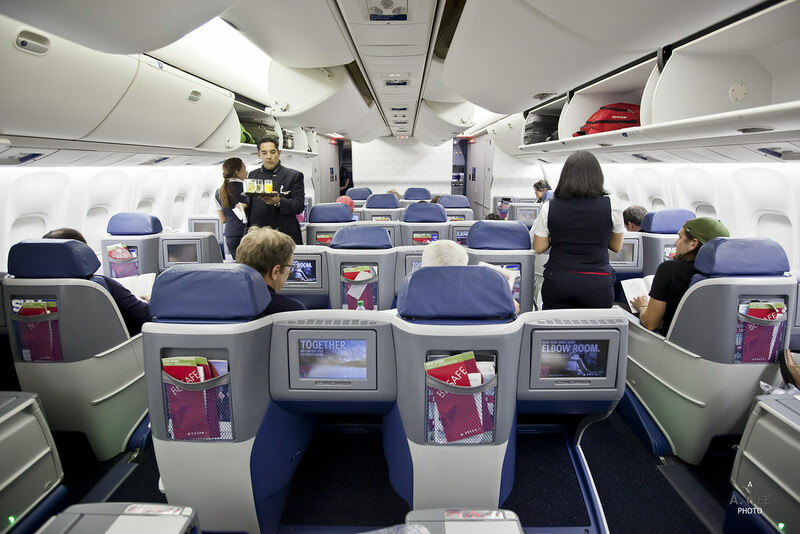 I also noticed the curtain around seat 5A that would designate it as a crew rest seat. 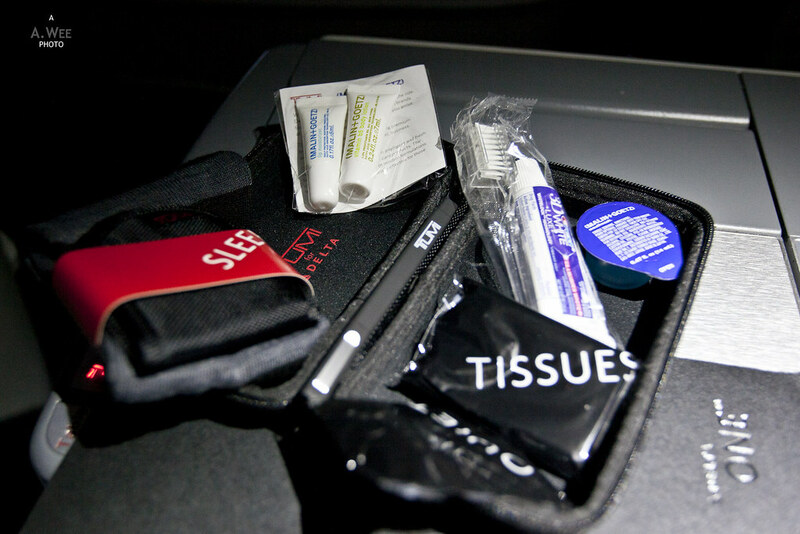 I believe it was used by the flight crew during the flight as it was closed. 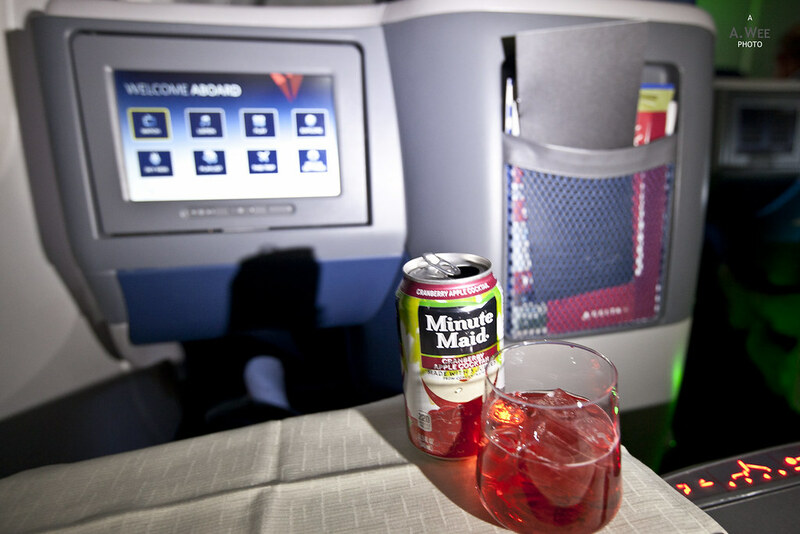 During this time, the Chilean steward serving my aisle came around with a tray of welcome beverages. There was champagne, water or orange juice. He was very professional about his job and made the effort to chat with the passengers while serving them. 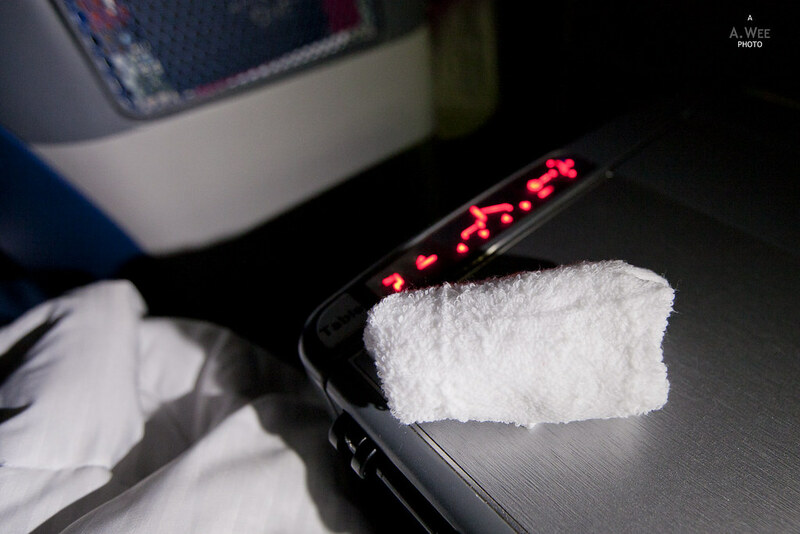 Hot towels were also provided to freshen up before the flight. Boarding took some time and this allowed me to explore the various seat functions. For someone of my size (~1.75m), the seat was actually just nice and while it was a bit narrower, it still is adequate to get some rest especially considering it can become lie-flat. When boarding was completed, the cabin crew came around to ensure the cabin is prepared for take-off and the safety video was played. 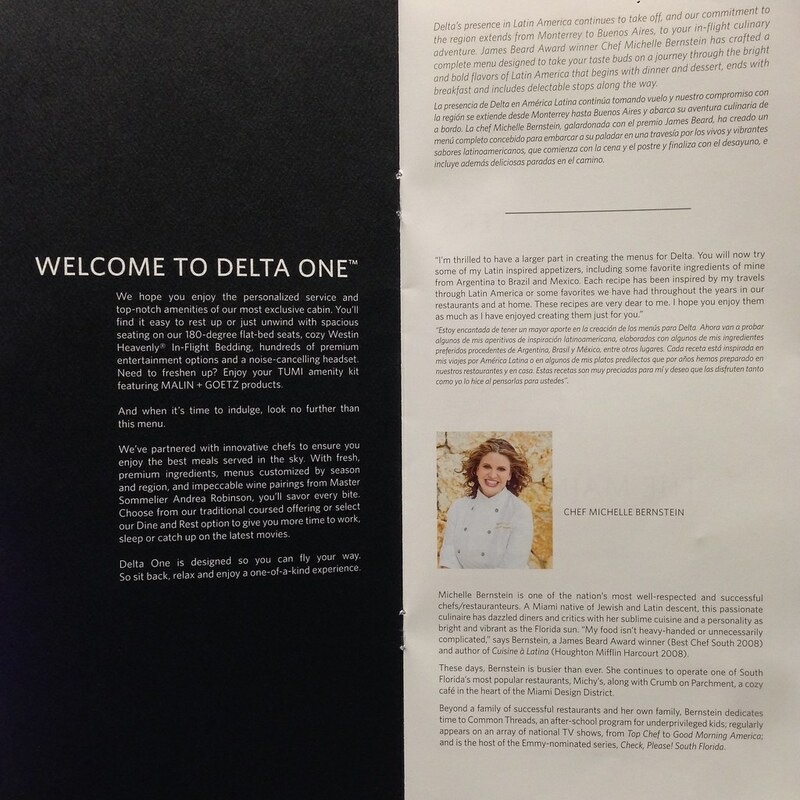 For those interested, Delta actually created the video by combining spoofs from various YouTube personality. Below was the safety video, which I thought was a bit cheesy. 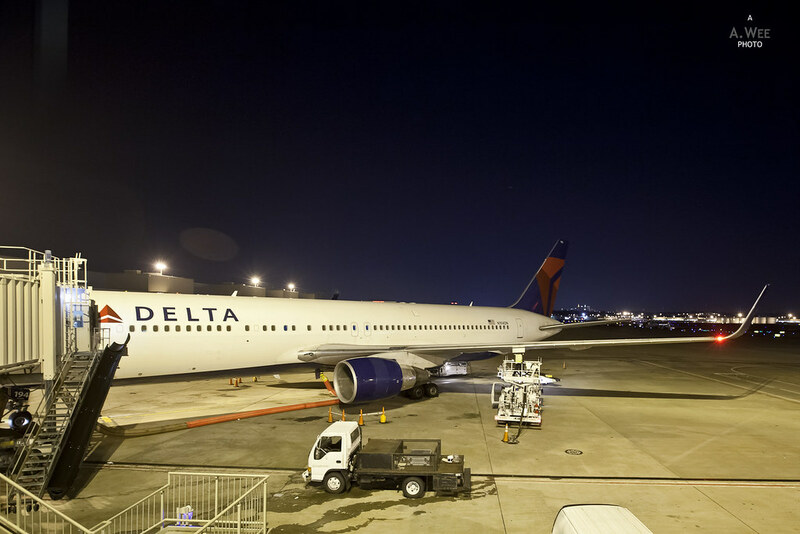 I think Delta was just trying to be ‘cool’ but I do not think so. 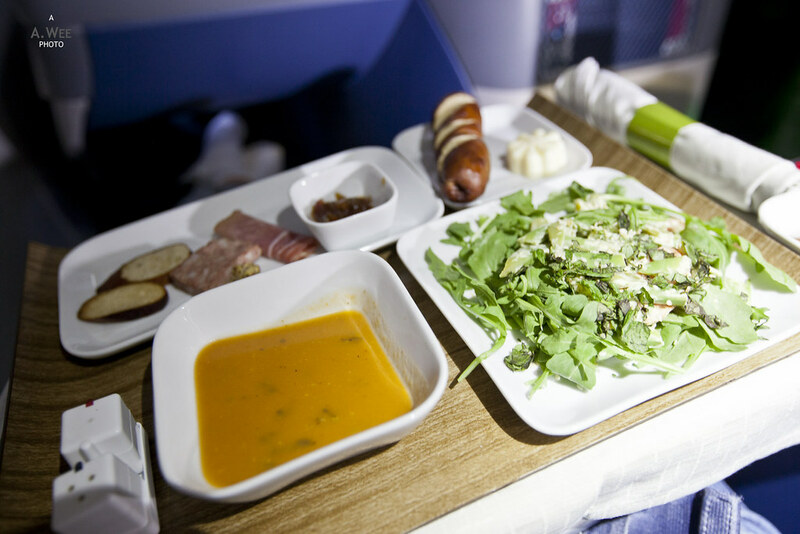 Once we attained cruising altitude, the cabin crew started to work immediately and placed the table mats. 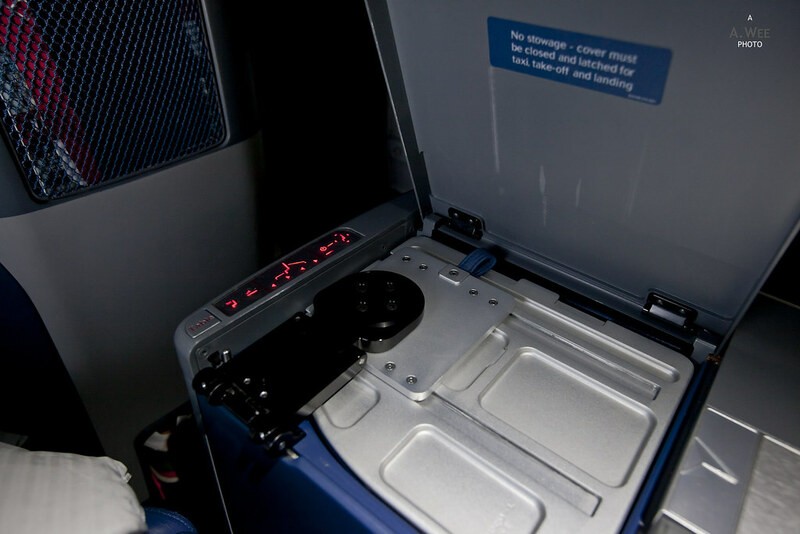 The tray tables are stowed under the armrest console and it is easier to unlatch and setup than other business class seat tables, in my opinion. Then he asked me for my choice of beverage, which I got a cranberry apple cocktail served with ice. 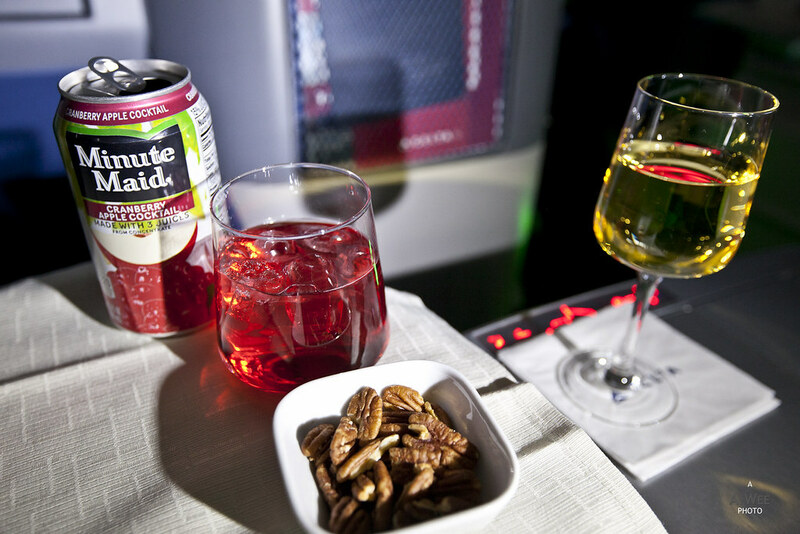 Shortly after serving me my beverage, the steward returned with a small bowl of smoked pecans that was really tasty and he also asked if I wanted some wine to go with it. 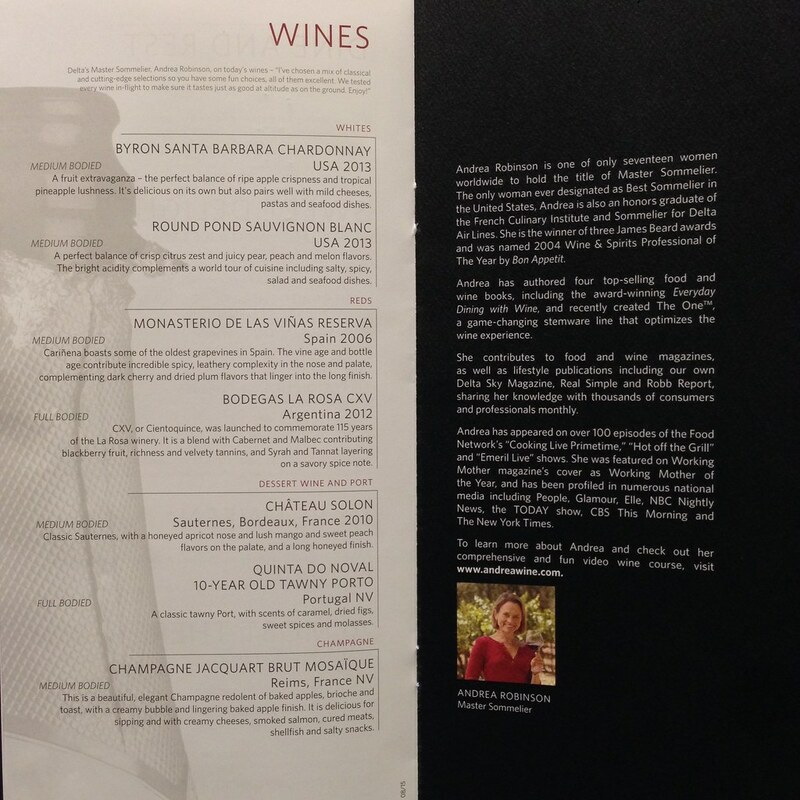 I got the Chardonnay to go with the pecans and switched on the inflight entertainment to watch a movie while waiting for the dinner service. Dinner service began with the starters, salad and soup served on a wooden tray. The starter was a country pork pate with pepper crust, pretzel crostini and prosciutto, served with grain mustard and pepper jam. Salad was arugula salad with snow peas, snap peas and carrots topped with avocade creme fraiche. The steward also asked if we wanted soup which was poured onto a bowl from a flask. The soup that day was tortilla soup. In addition, the crew also came around with a bread basket and I got myself a pretzel breadstick. I actually enjoyed all the starters and it was a fine start to the meal. The meat plate was tasty and the pepper jam made it even more enjoyable while the warm soup filled me up while waiting for the main course. For the main course, I chose the turkey meatball with pasta. While the presentation of the dish was terrible, both the meatball and pasta was actually better than it looks. The meatball was of a generous size and I could take multiple bites out of it. It was also juicy and not dry as what could sometimes be expected out of turkey meat. The pasta was cooked nicely and something that I could enjoy on a bistro. More work on the presentation would be welcome for this dish. 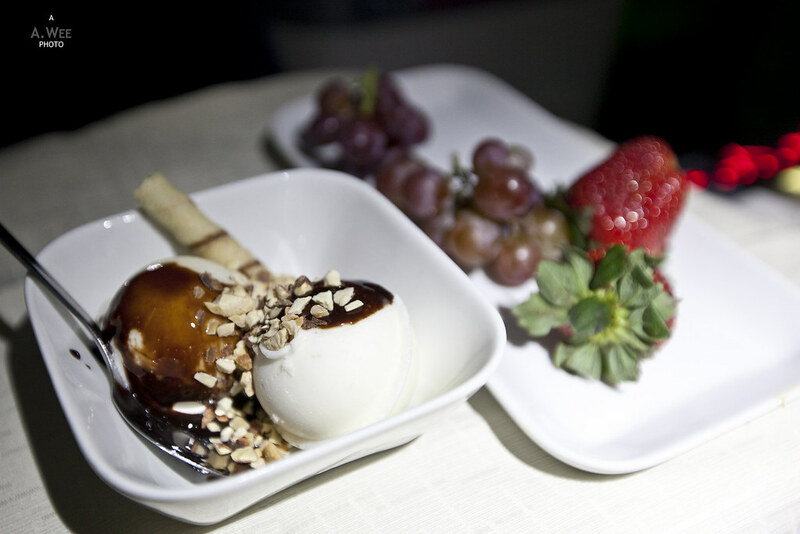 Even though I was getting quite full after the light snack at the lounge and finishing the starters, soup and the main course, I couldn’t say no when the crew came around with the dessert tray. I got for myself the ice cream sundae and had it with chocolate syrup and nuts as the topping. In addition I asked for some grapes and strawberries on the side. This made for a sweet finish to the meal service. With the conclusion of the meal service, there was some time before the trays were collected. 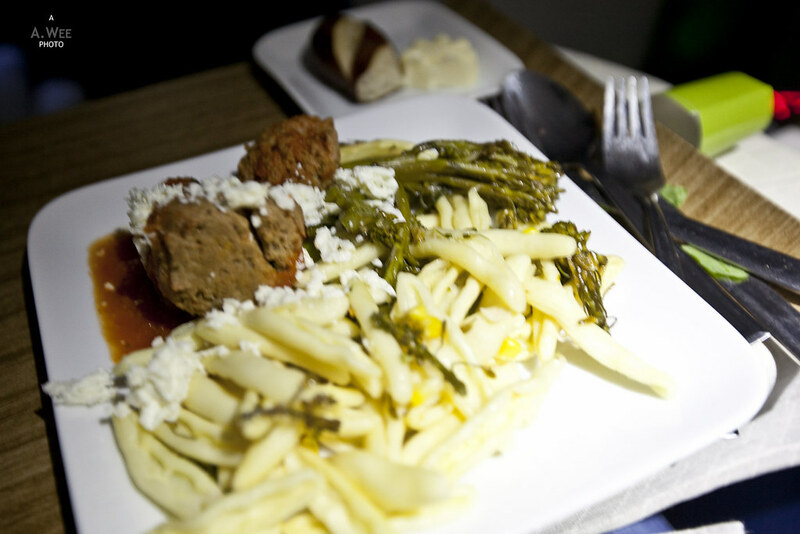 My guess is that some of the passengers actually finished dinner early to sleep for the remainder of the flight since the cabin was dimmed throughout the meal service. Thus the crew did not really want to walk around the cabin too much. The lavatory up front was a good size with room to manoeuvre which was better than I expected since the 767 is a narrower aircraft in all account compared to the usual 777 used for long-haul routes. It was also nice to see the Malin + Goetz handwash and hand cream inside the lavatories. 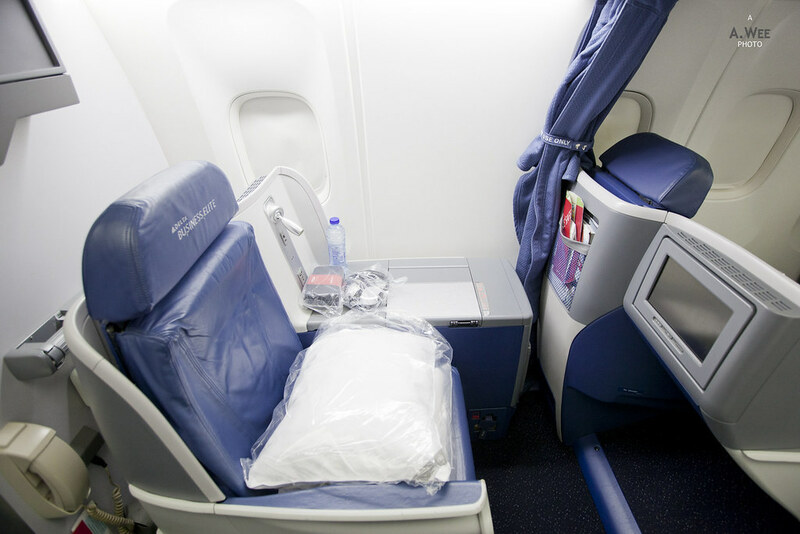 Once I returned to my seat, I reclined my seat and prepared to get ready for bed. 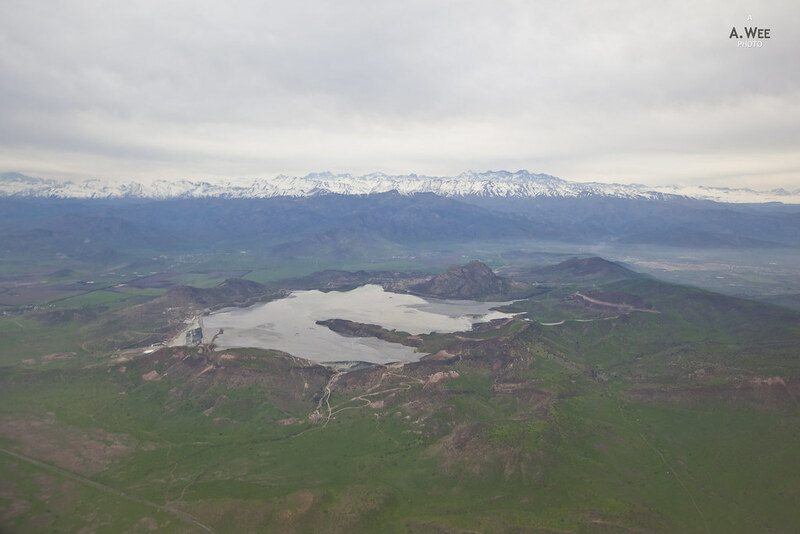 Unsurprisingly with the long flights starting from Vancouver, I was dozing off in no time. 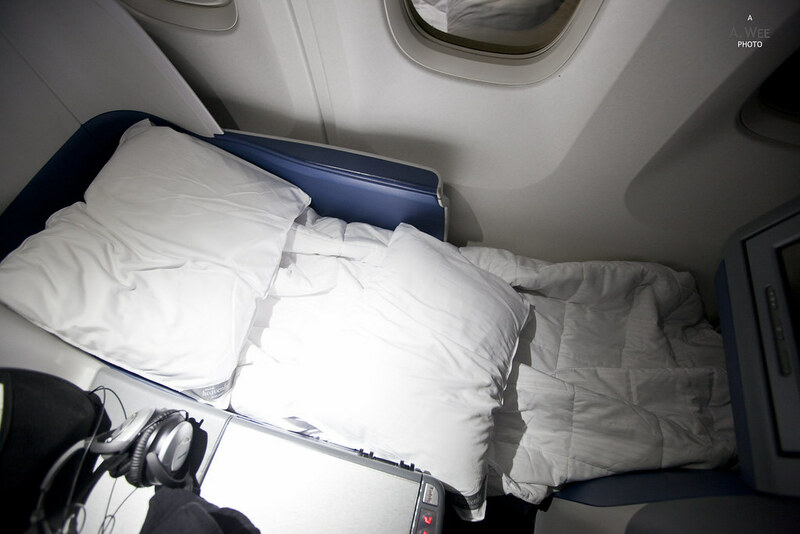 The low load in business class also meant I could get extra pillows and these are really huge fluffy ones that makes the sleep much more comfortable. In fact I actually got quite a nice sleep for the night as I awoke only upon hearing the clanking sounds of cutleries. Apparently while I had asked to be woken up for breakfast, the crew might have forgotten. I did, however wake up with about 50 minutes to go before we arrived. The steward came around to hand me a hot towel as he came back with my breakfast set. It was a nice touch to start the service with another hot towel. For breakfast, I had the scrambled eggs with cream cheese and chives. The eggs were served with chicken apple sausage, spinach with mushrooms and lyonnaise potatoes. I do think the portion was a bit on the small side and could do with a bit more. They did fortunately have a bread basket where I got a nice warm and fluffy croissant. A small fruit bowl was included in the breakfast tray. I also got a cup of coffee with the breakfast. 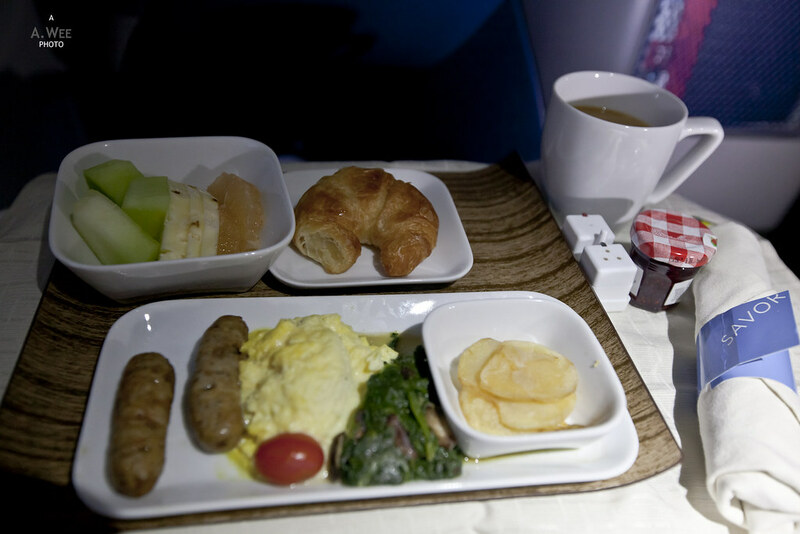 Maybe because the portion is quite small, most passengers finished the breakfast quickly and I still had time to head to the lavatory to freshen up after breakfast. 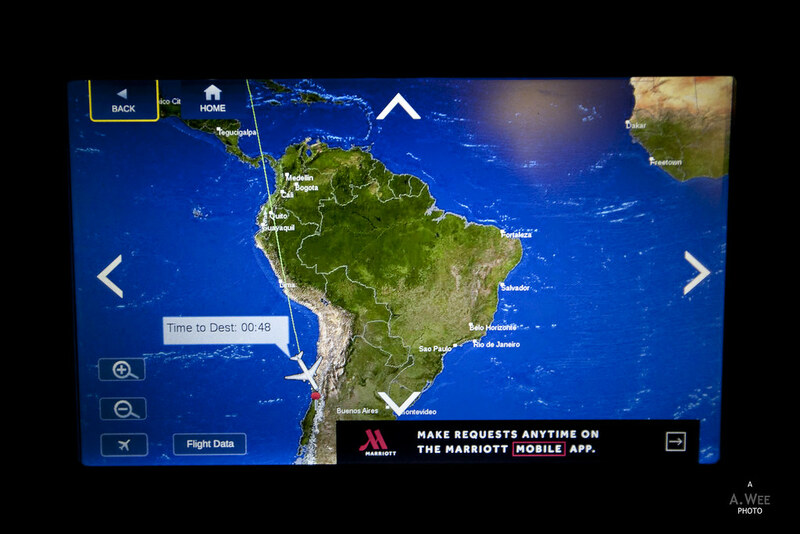 The remainder of the flight, I just spent relaxing in the seat and finishing up my cup of coffee. 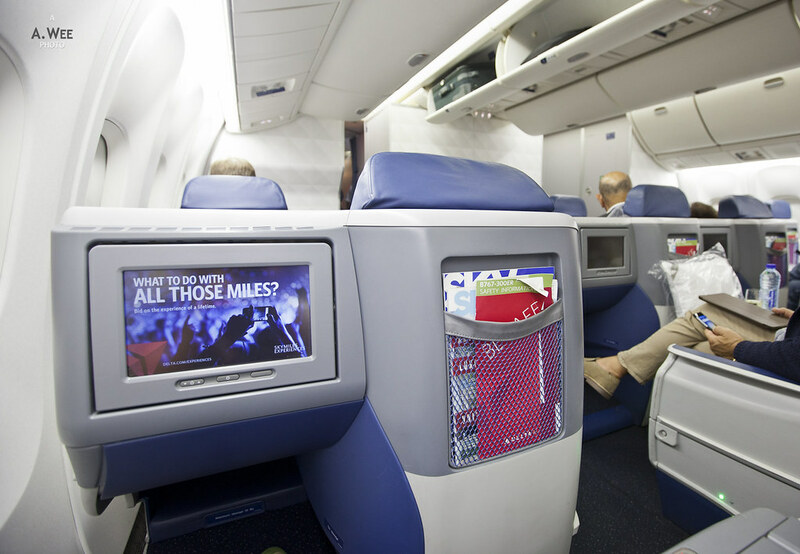 The large armrest console made it easy to place beverages without the tray table blocking your lap. 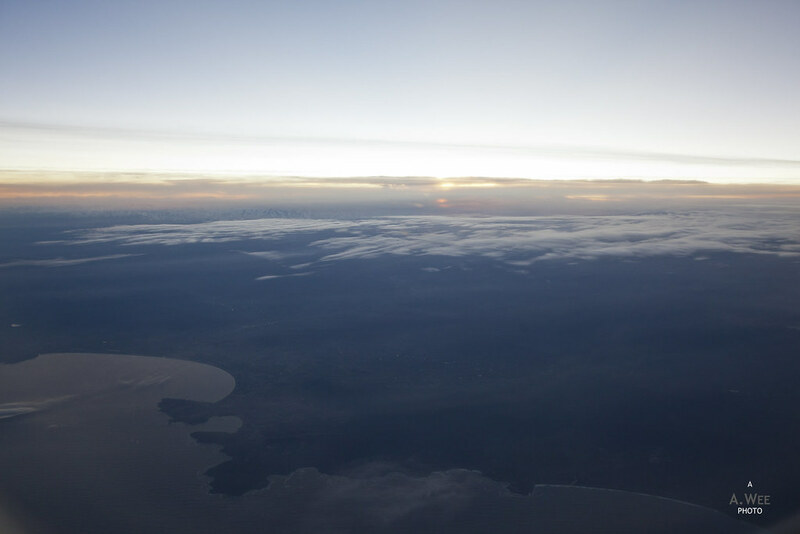 It was also nice to be able to the enjoy the sunrise as we descended into Chile, starting with the view of the northern coastline. 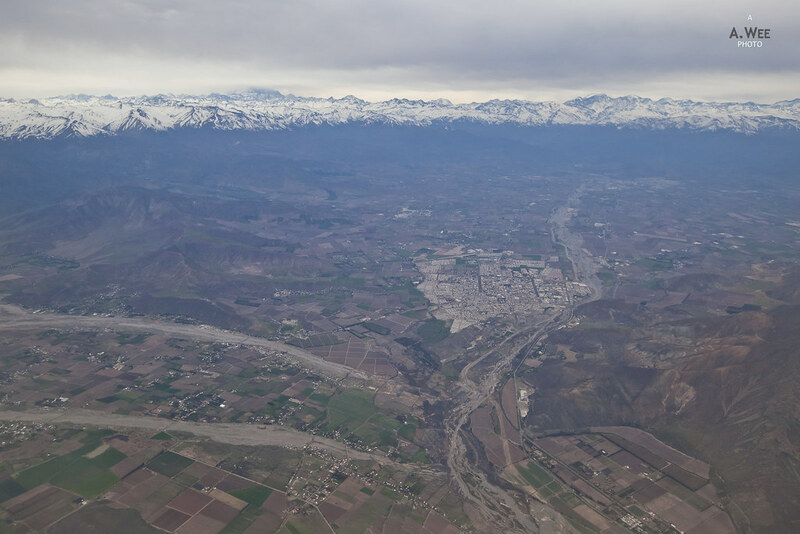 As we gradually got closer to Santiago, the Andes mountains came into view with the towns, farmlands and mining landmarks dotting the landscape. 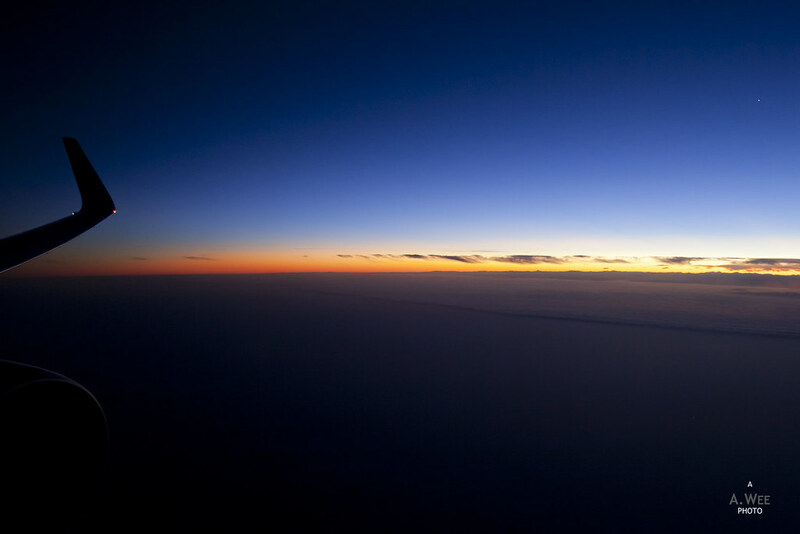 It was definitely a great end to the flight to be able to enjoy this view! 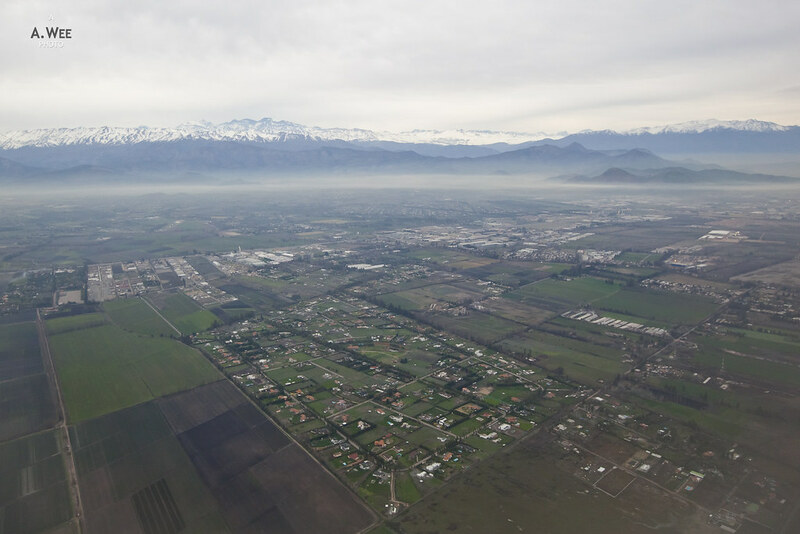 Santiago might be the largest air hub in Chile and one of the predominant airports in South America but it did not feel that busy. It might be due to the early arrival of the plane. 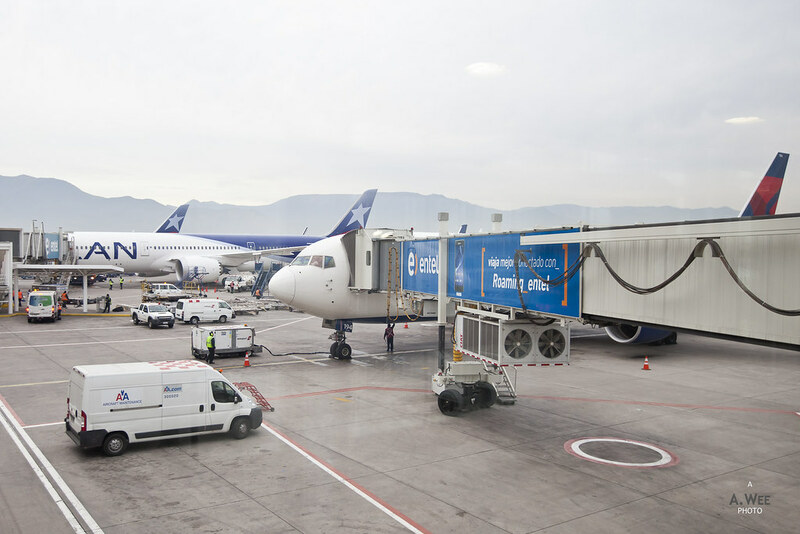 Disembarkation was conducted only through the door between Business and Premium Economy so that can result in passengers in premium economy getting off at the same time. 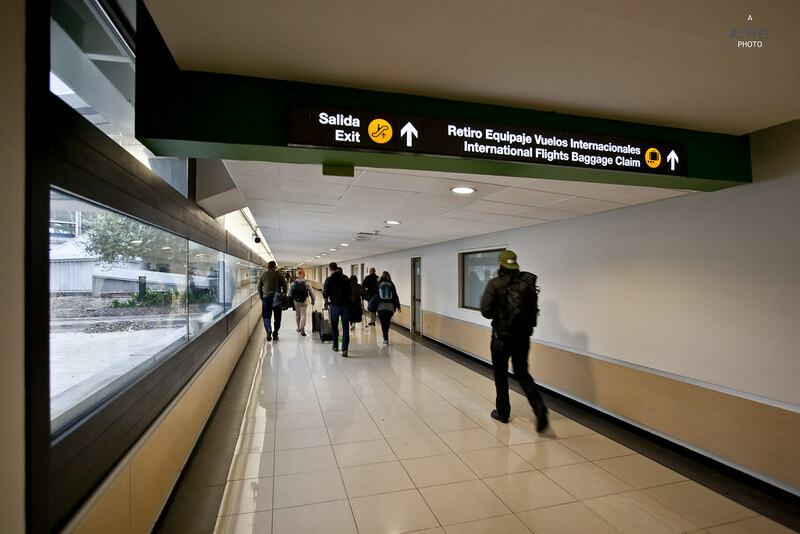 There is a long walkway that looks quite old leading to the immigration. Queues for immigration was actually quite short and I was through in no time. However I had half-expected my luggage not to make it in time after tracking it on the Delta app. 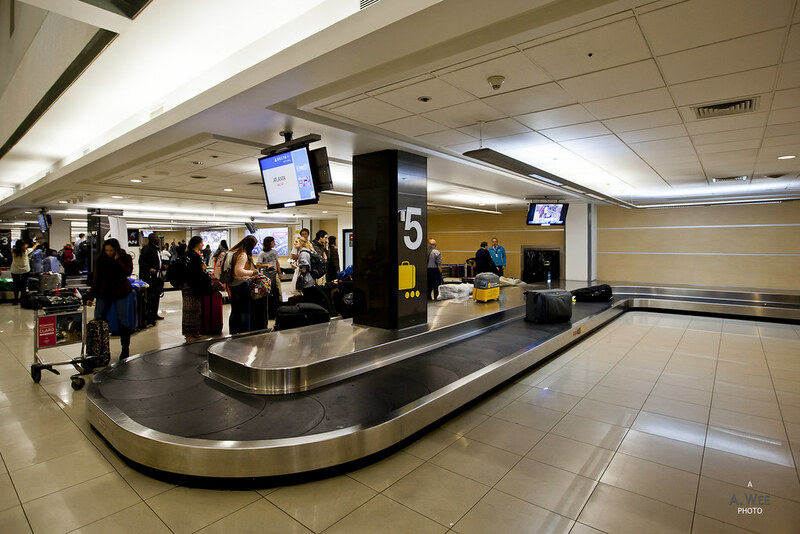 thus even after waiting for most of the luggage to appear and not spotting it, I filed a missing baggage report. Since I was in Business Class, the agent filing the claim handed me a ‘SkyTeam’ branded amenity kit. 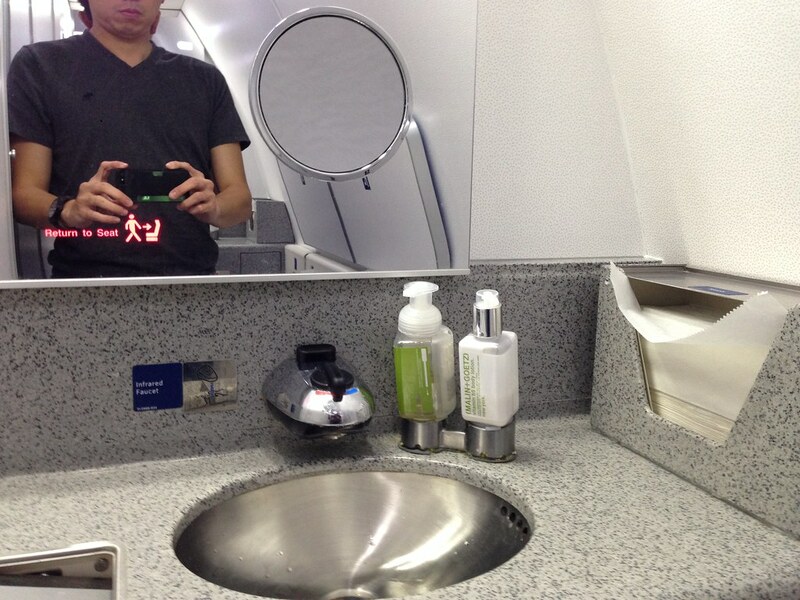 The amenity kit was quite good as it even included a T-shirt. Fortunately enough, I did prepare some change of clothes and daily necessities on my hand-carried luggage. 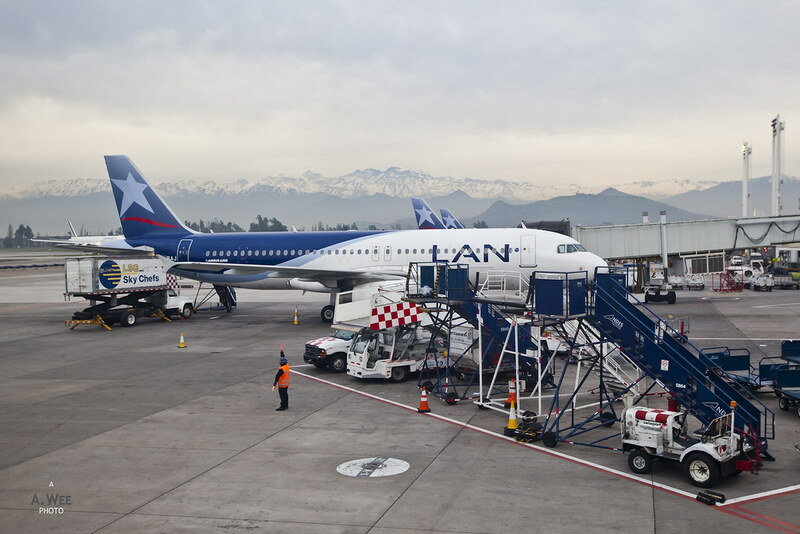 The delay in the luggage meant I had to alter my itinerary a bit since I would not be going to snowboard the next day as the luggage could only be delivered the next day as Delta only has one flight per day to Santiago. The experience of not getting the luggage in time was a stain in an otherwise pretty good experience. I was eventually reunited with my checked luggage so in the end everything’s fine. 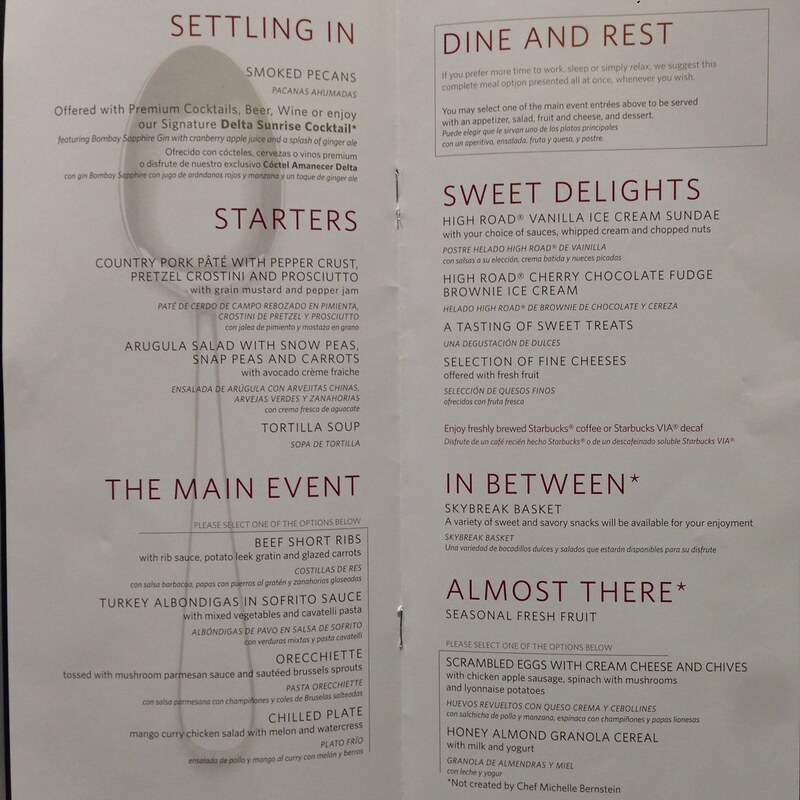 For the price of the ticket, I think the flight was very good value in providing a comfortable long haul flight that I could rest and even have a nice meal. 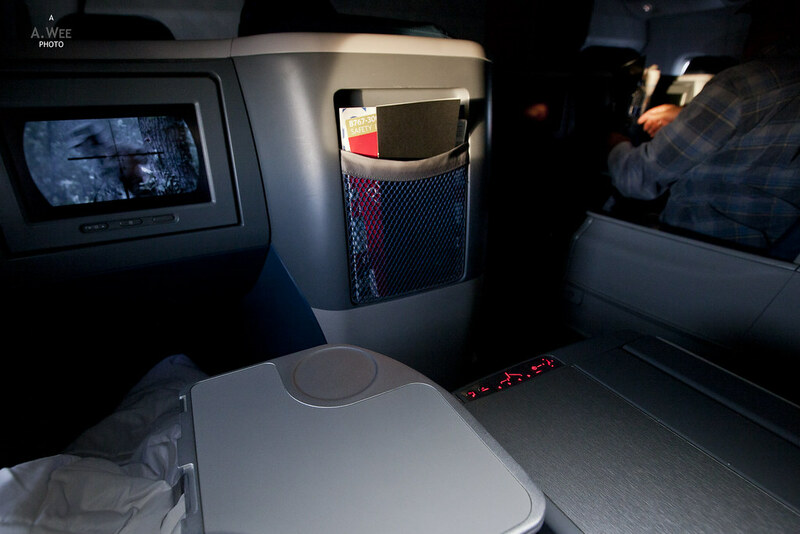 The little things like the large pillows, bottled water and TUMI amenity kit made the flight more memorable. It might not be first class but it sure beats some business class service by other carriers.